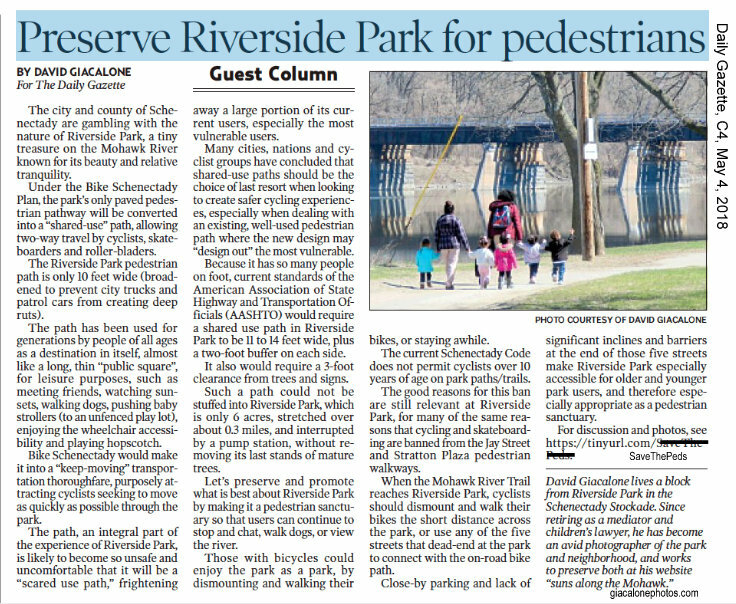 Many thanks to the Schenectady Gazette Opinion Page for publishing the Guest Column “Preserve Riverside Park for pedestrians” (May 4, 2018, at C4, by David Giacalone; click for a 2-page pdf. version). 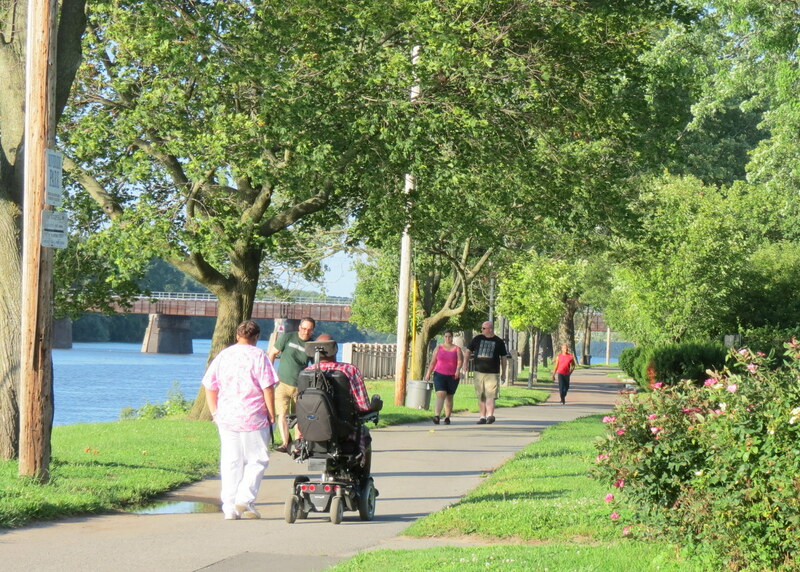 for a full discussion of the issues, with many photos of the Park, along with quotes from, and links to relevant sources, please see our prior post “Bike Schenectady: A Crucial Battle for Riverside Park“. Please click on the screenshot below for a larger version. 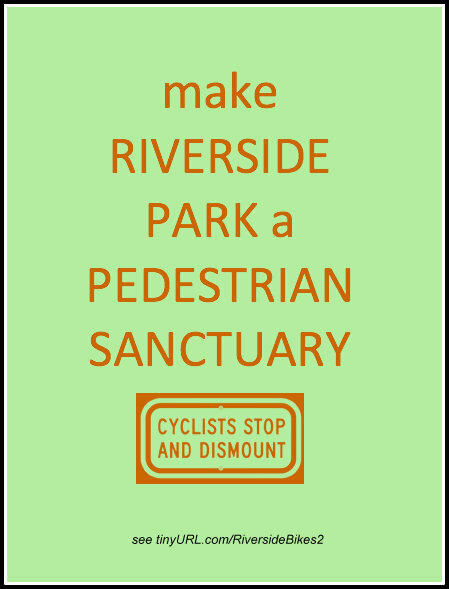 Please let your Schenectady City and County legislators and executives know your opinion about the best ways to preserve what is best about Riverside Park for its users of all ages, and for future generations. 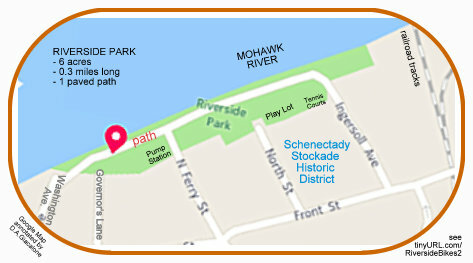 Subject: Thank you for your Stockade Riverside Park article! David, this article for the guest column in May 4’s Gazette presented a considered “debate” with something for everyone. “Walk bikes through this area” would not be uncommon for a paved path. Preserving the Commons tradition established here is essential to its continued availability. All can stop and savor the sunset. David, it’s a pleasure to read an article that creatively informs in a comprehensive, kindly and elegant gesture. Congratulations for your valuable social contributions! p.s. 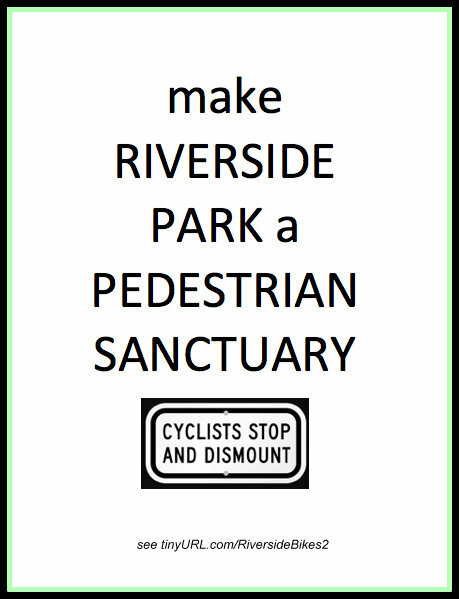 If you post it, please add that Roberta and Steve are long-term and regular walkers or bicyclers on the region’s bike paths. Many thanks, Roberta. Your words of appreciation mean a lot.